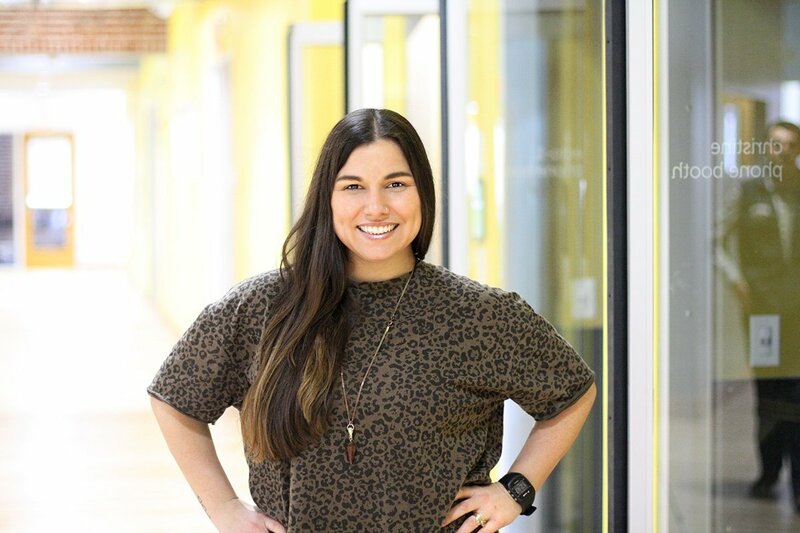 It's hard to be flawless at anything in marketing, especially considering all the content trends, social platform updates, and new technologies that change the landscape. Still, one constant for a lot of brands is the email newsletter. It's pretty versatile, and you have a lot of control over how it's designed, what content you include, who you deliver which emails to, and what triggers indicate what actions in an effective email drip campaign. With so many possibilities in your own email marketing, it's helpful to know what other brands are doing with their newsletters. And there are quite a few brands that really pull off effective email newsletters — so well, in fact, that I actually find myself excited to open their emails. 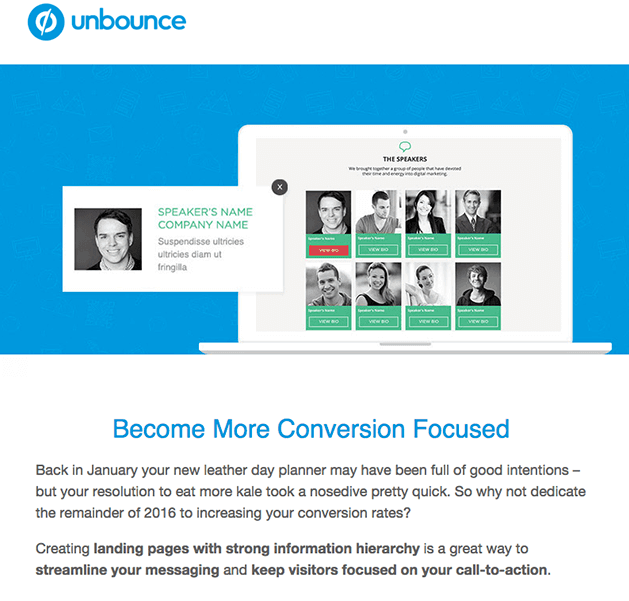 Unbounce specializes in helping marketers increase conversions, and its newsletters are a perfect extension of that because they're full of advice and education about optimizing content for conversion. 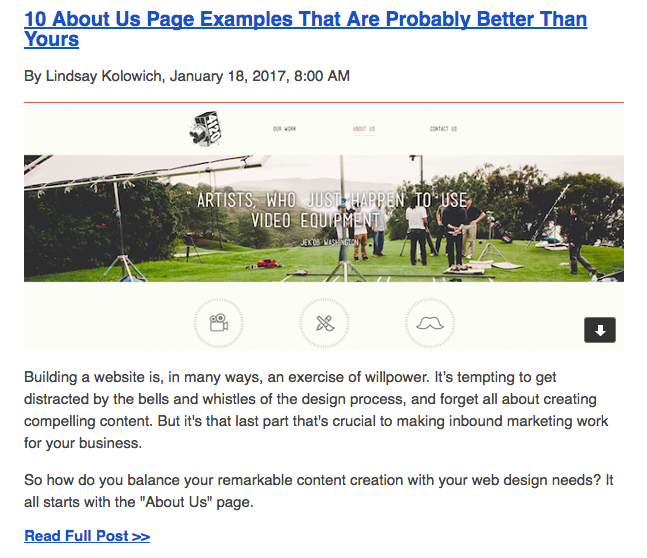 Its newsletters follow a typical article format, which gives Unbounce plenty of space and time to load them with tips tailored specifically for its subscribers. 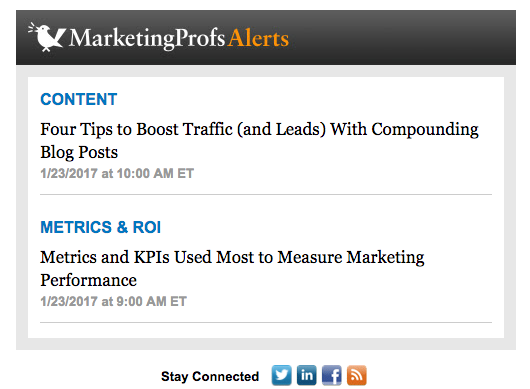 MarketingProfs covers so many aspects of marketing, and I like that I can select which topics I want to receive in my inbox each day. There are a lot of options to choose from, allowing me to opt in to receive emails with content that focuses on B2B, new research, social practices, strategy and content creation, etc. — basically anything that I am really interested in. The number of articles in each email varies depending on my preferences. The one below only included two articles because those were the only new ones that fit my preferences that day. Airbnb is probably one of my favorites — and not just because its service is all about helping you find fun and inspiring and places around the world to stay. 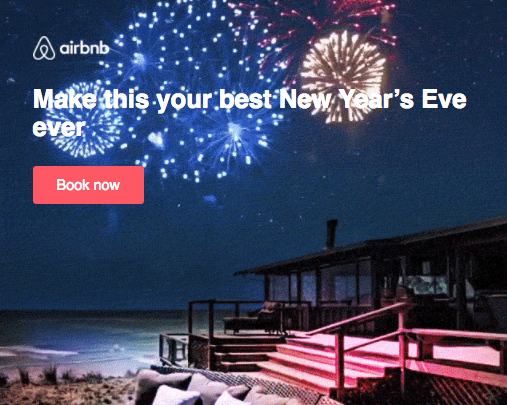 What makes these emails great is that they mirror the Airbnb site: clean and simple. They also let beautiful imagery do most of the talking. Something I love about Airbnb's emails is that they highlight listings you were thinking about but hadn't acted on and offer other listings in case you had decided against that particular one — which shows me that Airbnb is really in tune with the buyer's journey. 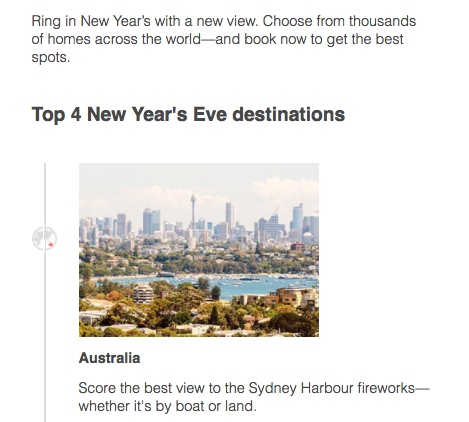 Below is an email highlighting the top New Year's Eve destinations. With the amount of content we see on a daily basis, I thank the powers that be for theSkimm. 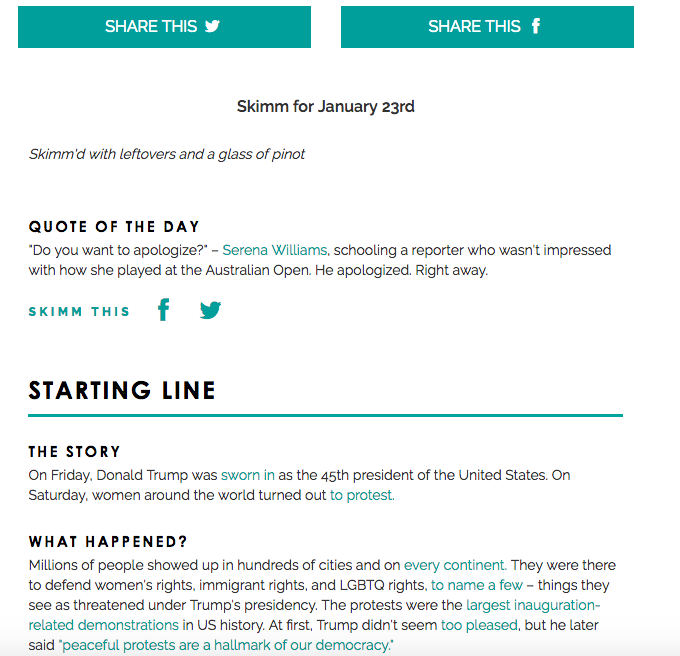 TheSkimm's daily emails break down exactly what is going on in the world, and it does so in a way that's quick and easily digestible. And it's really easy to share its newsletter content on Twitter or Facebook, which is a pretty smart way to increase engagement. These gals bring personalization to a fun new level. 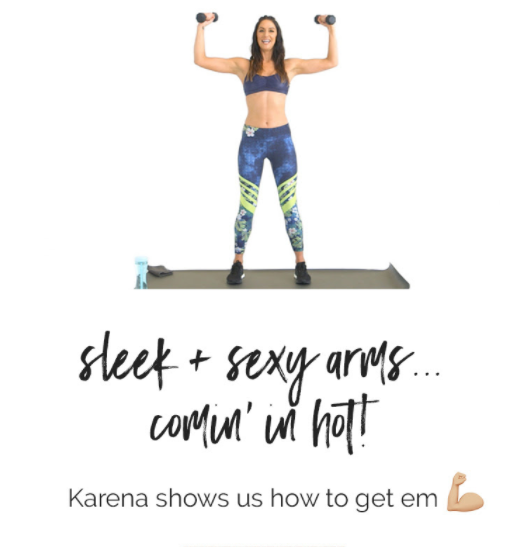 As a fitness and wellness site for women, Tone It Up sends seasonal recipes, new workouts to fit into your day, and even personal notes of encouragement that make you feel like Tone It Up founders Karena Dawn and Katrina Hodgson really know you. It can be easy to let fitness fall by the wayside, but with daily workouts, weekly reminders, and motivational messages, your fitness (and the Tone It Up brand) stay top of mind. 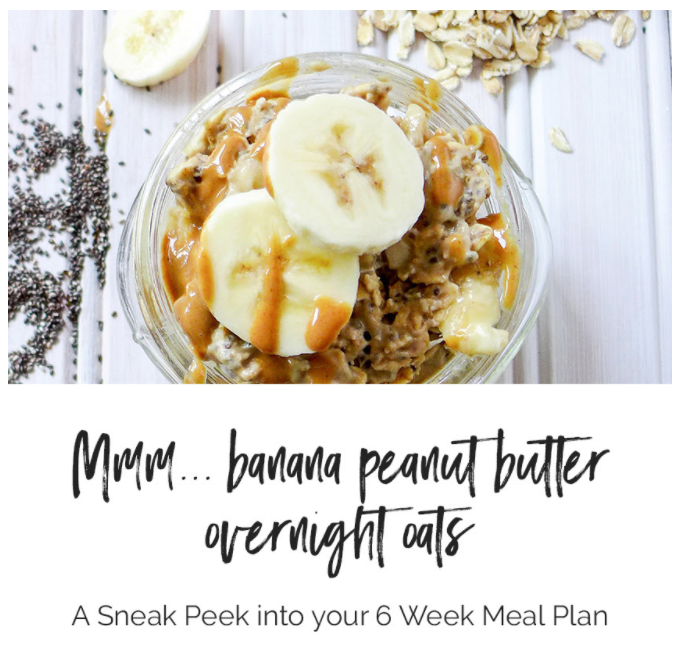 Check out the image below for a peek at a yummy oats recipe from one of its newsletters. 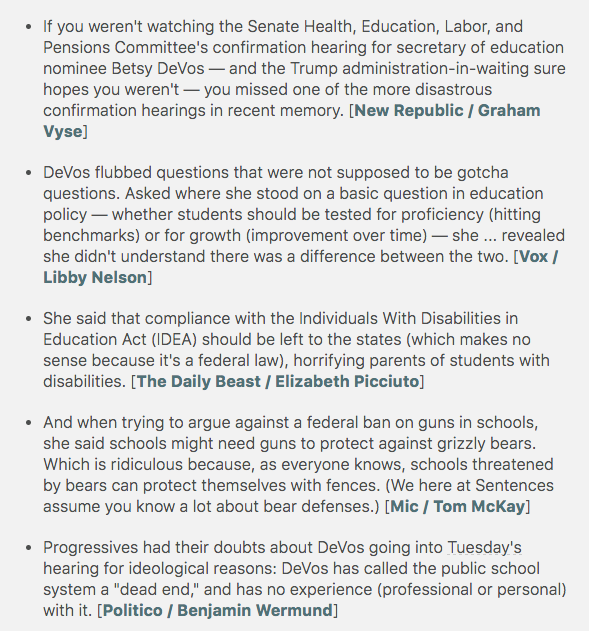 Vox is an awesome site for in-depth news coverage, and its newsletter, Vox Sentences, puts a new spin on those stories. While it covers the same wide range of topics and issues, it does so in a streamlined way that offers one-sentence summaries of the key points in each article. If you're interested, you can read more by clicking on the links to the full articles. 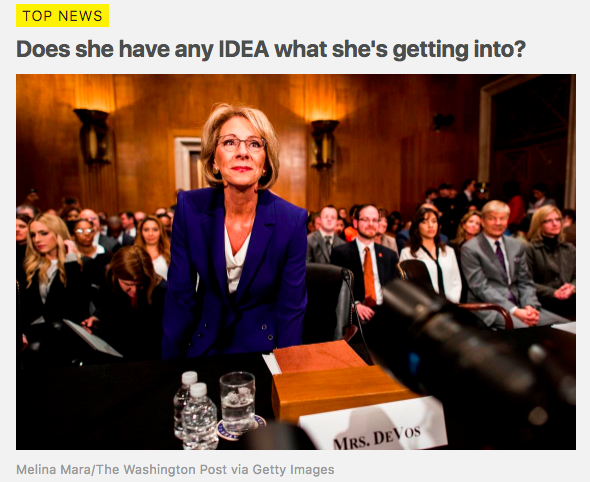 In a world where everyone is busy and no one has the time (or the mental energy) to read through comprehensive news articles at the end of the day, Vox highlights the hardest-hitting points and delivers them to your inbox. I always love seeing emails come through from Free People. They do a great job of pulling you in with fun email subject lines like "What's your intention?" Check out the image below to see how Free People found a way to tie in the theme of New Year's resolutions with its workout collection — and even made it easy to shop that collection. 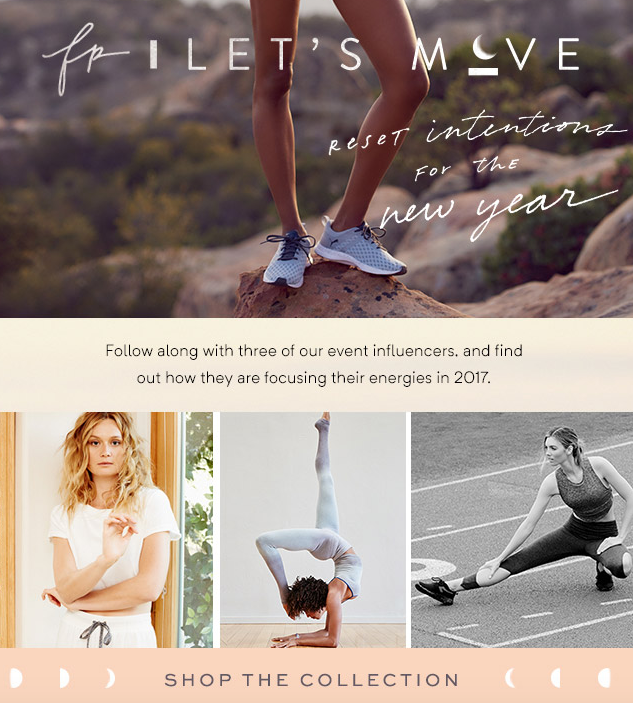 I also like how Free People included its influencers in the email, making it easy for readers to see how influencers are using Free People clothing to meet their 2017 resolutions. It seems like World Market is always having a sale of some kind, which I know because those sales are highlighted in the weekly emails I receive. What makes World Market's discounts more enticing is that it pairs those deals with content to help you make the most of them. 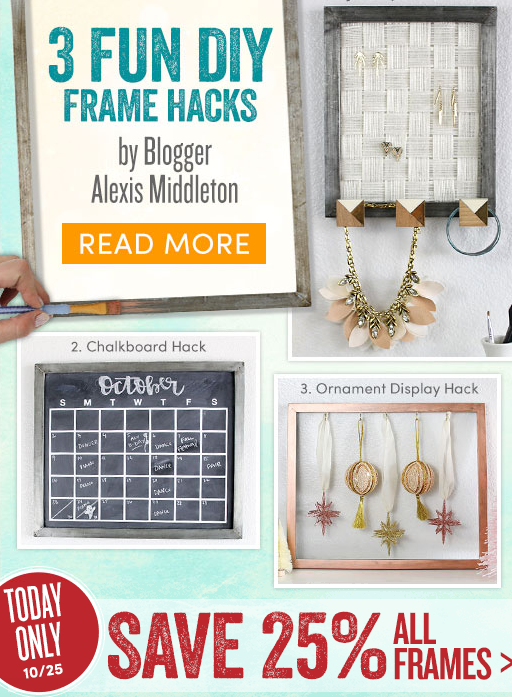 For example, in an email about discount picture frames was this article on easy and fun DIY frame hacks. The fact that World Market is having a sale on certain items is great, but I'm definitely more enticed to make a purchase knowing all the fun things I can create with them. HubSpot is proof that if it ain't broke, you don't need to fix it. Its daily emails stick to rounding up recently published blog content so you can read all this high-quality, industry-specific content from one easy-to-access place. And with content this good and highly applicable for the marketing industry, HubSpot doesn't need to do anything too fancy to maintain high readership. Anyone with something to say can use Medium. The platform has gained popularity over the years, and while it's great to know that its audience members are taking advantage of all Medium can do for them, it does make sifting through content for the exact article you're looking for a little more difficult. 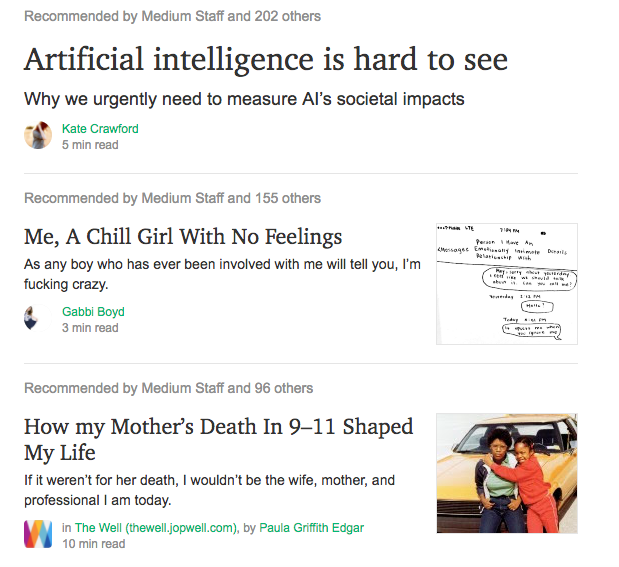 To help, Medium's newsletters deliver content to you in a clean, simple way. Medium actually sends a lot of content in each email, but it doesn't feel overwhelming because of how it's formatted. I also appreciate that the newsletter indicates about how long it might take to read each article because it helps me determine whether I should reserve a read for later when I have more time. I love each of these emails for very different reasons, but one thing they all have in common is that their design, format, and messaging are put together with their readers in mind. 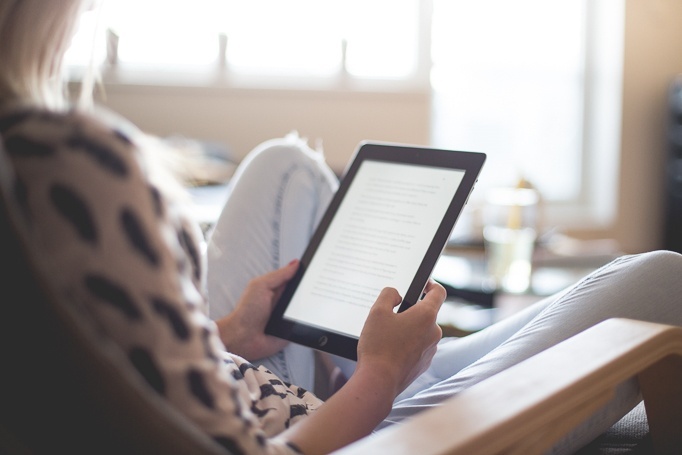 If you're looking to make some changes to your email newsletters, or to start one and build a subscriber base, make sure you're in tune with what your audience needs. Download our guide below to help you create email content that aligns with your brand message and engages your audience.